- Material: metal aluminum+Tempered glass Back Plate Cover. - Easy to assemble and remove. - Mobile phone luxury protector case cover for Galaxy S5. - Protector your Galaxy S5 bumper and back. 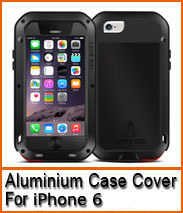 - Fashion design aluminum bumper with Tempered glass Back Plate Cover. - Provides maximum protection from scratches and scrapes. - Ultra-thin design makes your phone stylish filled. - Full access to all ports and "touch screen" while applied.